I arrived at around 1156am, and the door was still closed. A pretty server opened the sliding door at 12pm sharp. We were ushered into a room where two chefs were standing behind a counter. I noticed that there were private rooms, and another room with counter seats as well. The moment we sat down, we were served hot towels and water, and handed a menu with just a few options that range from $80 - $250. We both opted for the Hiragi ($250) and prepared ourselves for a fantastic feast. The chawanmushi caught our full attention the very moment we tasted it. It was nothing like our usual chawanmushi. Both the taste and texture were quite different from what we are used to. It's not a bad difference, but it took us by surprise. 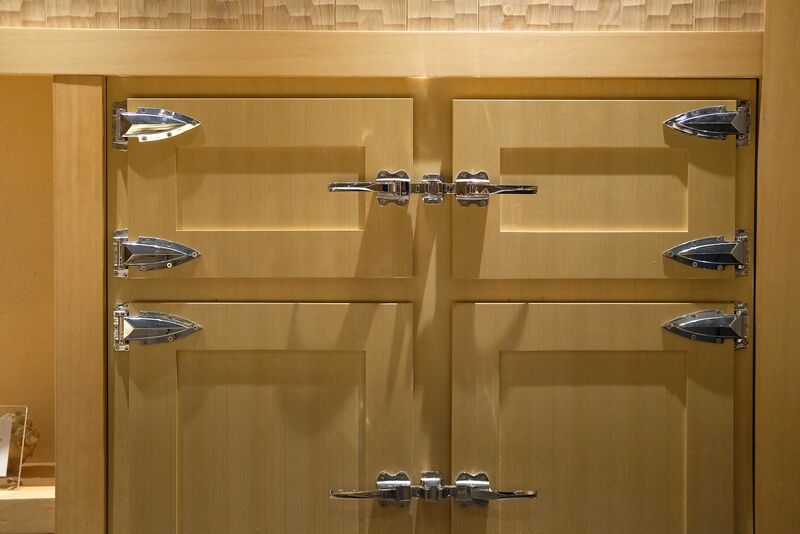 I asked Chef Ryoichi if this cabinet behind him was a fridge. Even though he wasn't completely fluent in the English language, he tried his very best to speak to us, and at times engaged the help of the gorgeous server to translate his words. This "fridge" keeps the fish cool, but it's not powered by electricity. A huge block of ice sits inside, keeping the interior cold. The reason was that an electric fridge's temperature is too low, and the fish can get too hard. This cooling method keeps the fish at its very best. 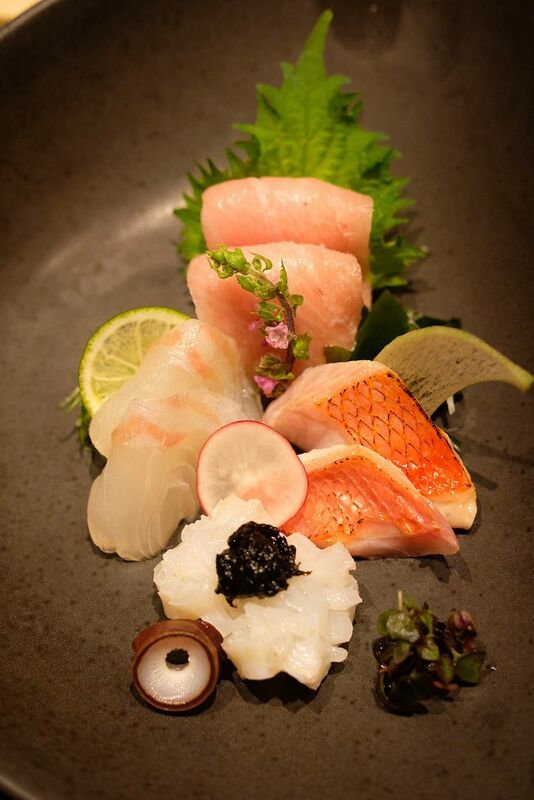 Sashimi Platter - seabream, chutoro, aburi kinmedai, tako. Chef Ryoichi let us have a sniff of the shiso leaves before pulling them out and adding them into our saucers of soy sauce. I love the fragrance that the leaves add to the soy sauce! 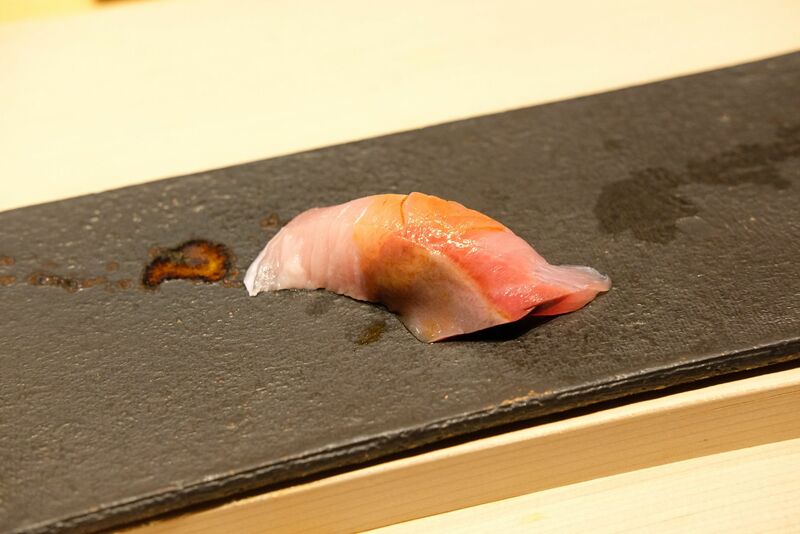 The freshness of the sashimi was evident, and I was amazed at how fatty the chutoro was. Just a bite of the chutoro instantly got me super excited for the otoro, which I knew would be served at the end of the meal. 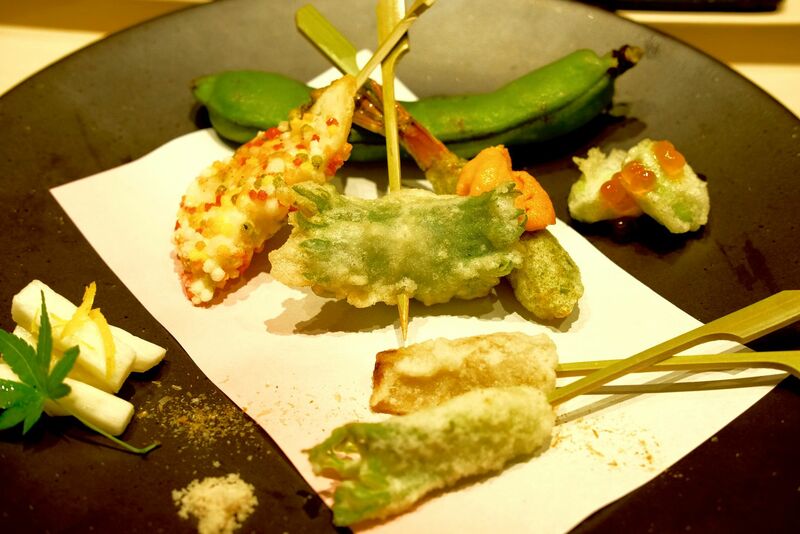 Vegetable Tempura - seabream with rice cracker, crabmeat with shiso leaf, prawn with sea urchin, bamboo shoot, fava bean. Not my favourite dish for sure, because I don't eat vegetables but I tried everything still! And I'm definitely impressed by how they made vegetables tasty by pairing them with seafood! It's very clever how they highlighted the freshness of the seafood, and natural flavour of vegetables. Hands down the BEST yellowtail nigiri I've ever had in my life. The yellowtail was so fatty, and so flavourful! 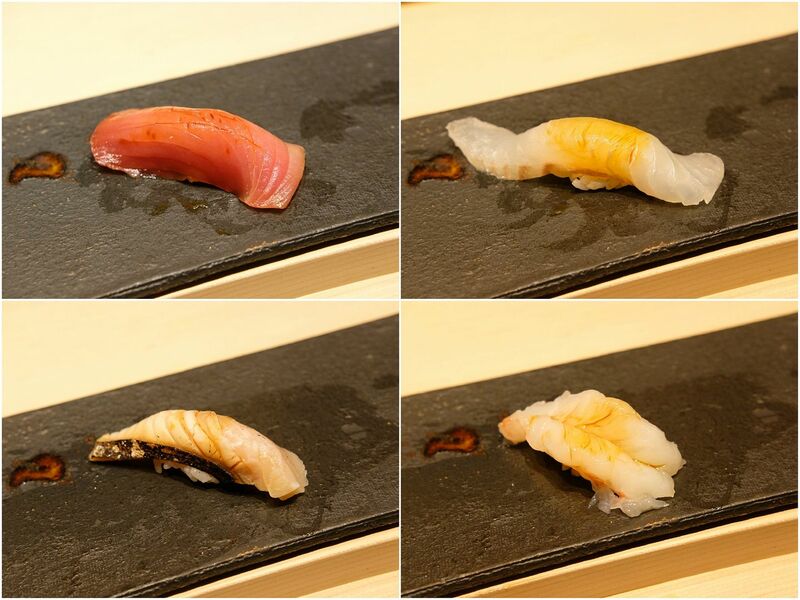 Nigiri - young tuna, flounder, Spanish mackerel, botan ebi. The portion of rice was pretty little but the rice was absolutely flawless. The rice had just the right amount of seasoning and every grain was nicely separated, but the rice still stuck together nicely. The rice wasn't hard, nor was it mushy, and the little parcel never threatened to fall apart even when I clumsily picked it up with my hand. By far, the most perfect sushi rice I've had in Singapore. Just sensational. The slices of fish/ebi were of top quality, as expected, and I loved them all. However, the highlight for me was definitely the rice, which stole the show. I can eat the rice on its own! My best friend and I couldn't stop talking about how good the rice was! The Uni Ikura rice bowl was next. This is one of the signature dishes at Hashida Sushi. I loved that they were generous with the amount of ikura and creamy uni. And I know that everyone goes nuts for this combination. Strangely, I didn't go crazy for it like I thought I would. 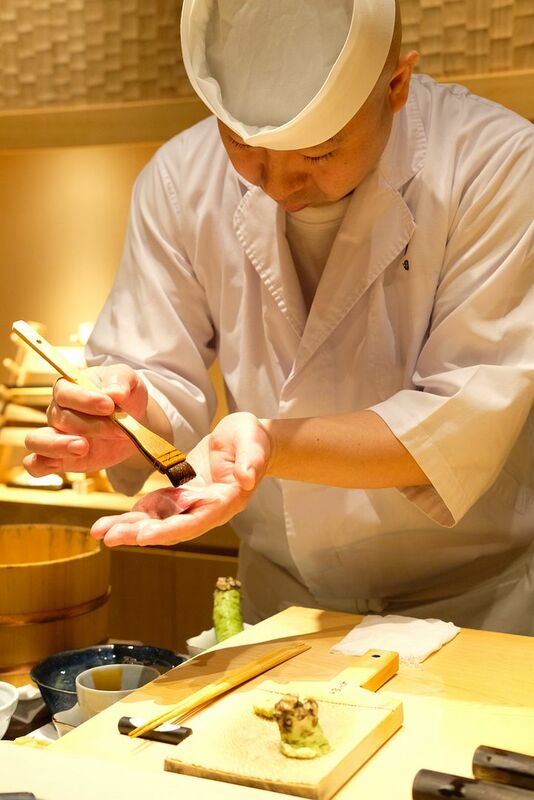 Watching Chef Ryoichi put this luxurious bowl together masterfully was a real treat. I don't really know what I was expecting because this is essentially just an ensemble of premium ingredients. While each ingredient was great, and this bowl of richness was certainly more than satisfying, I just didn't feel like OMG ITS SUPER GOOD. I thought the yellowfin nigiri was better than this actually. And I do love my uni very, very much. 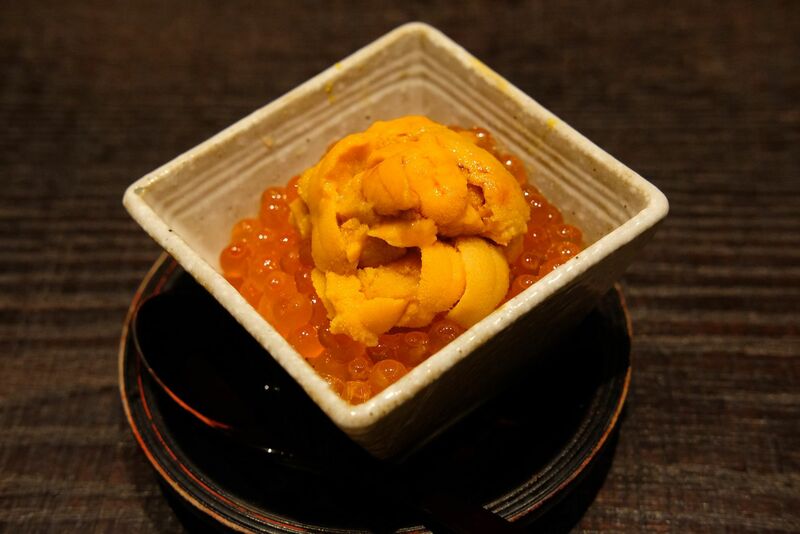 For those who are afraid that the ikura will get overwhelming, fret not, as the fresh ikura is not salty at all. Yes, ladies and gentlemen. 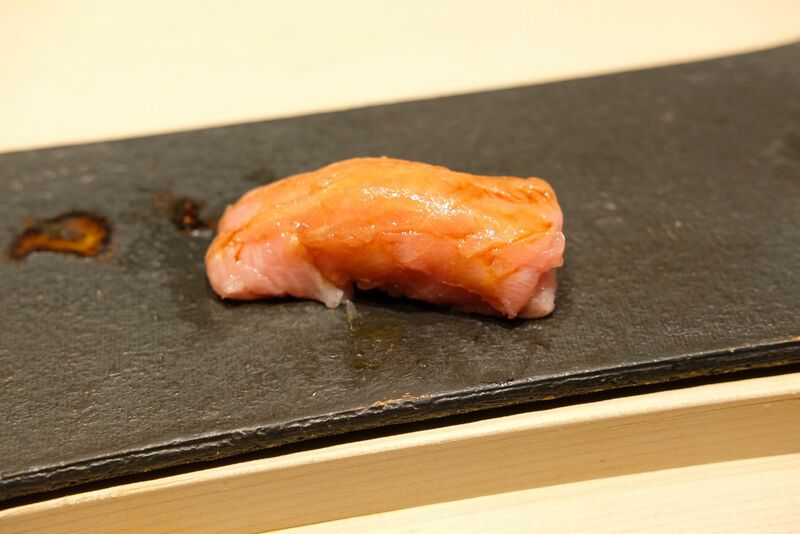 I present to you the gorgeous otoro sushi that will make you close your eyes, tilt your head up to heaven, and go mhmm, as it melts in your mouth. 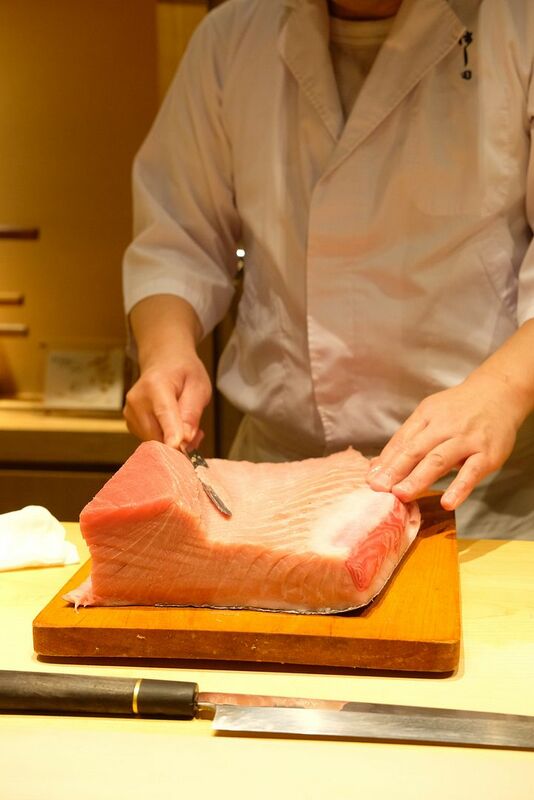 Unsurprisingly, the otoro was incredibly fatty, juicy, and rich. You will naturally savour this very slowly, as if you don't want it to disappear, as if you don't want the moment to end. I'll never forget you, you little morsel of happiness. You make me want to cry. 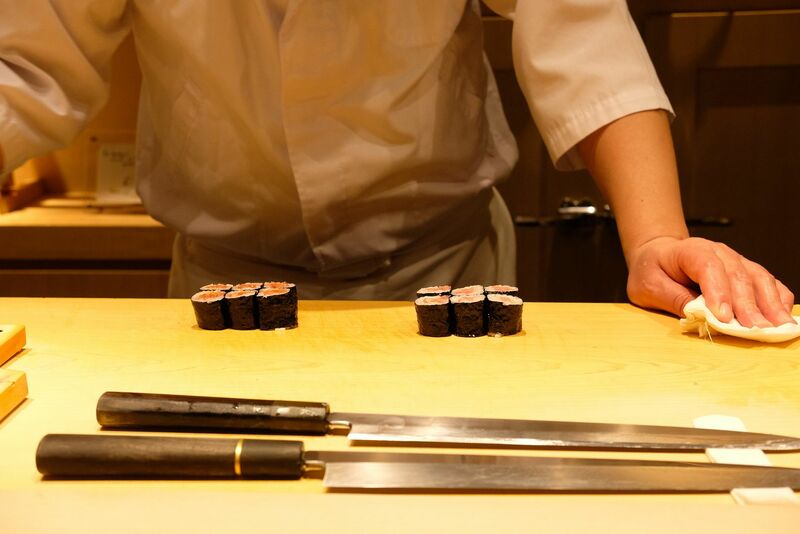 We thought we were done until we saw Chef Ryoichi making negitoro maki. We were like "oh no we are dead, we can't eat anymore." 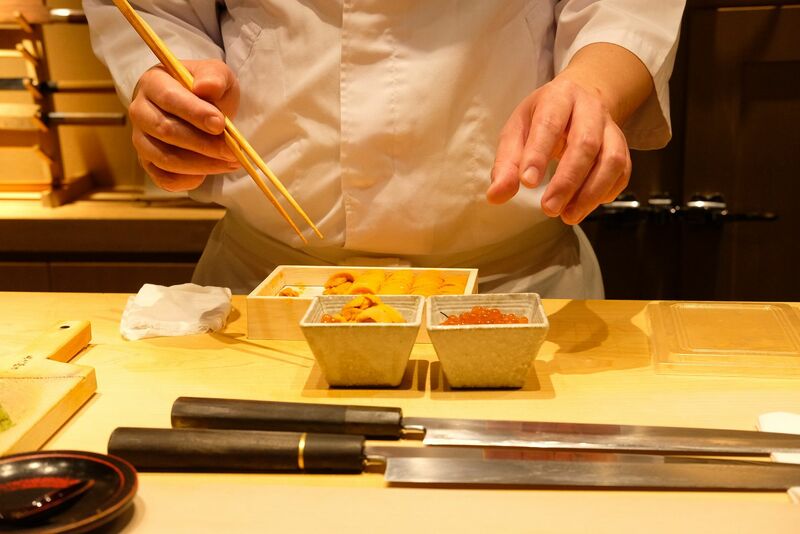 However, when the maki arrived, we realised that you'll always have space for insanely delicious food. 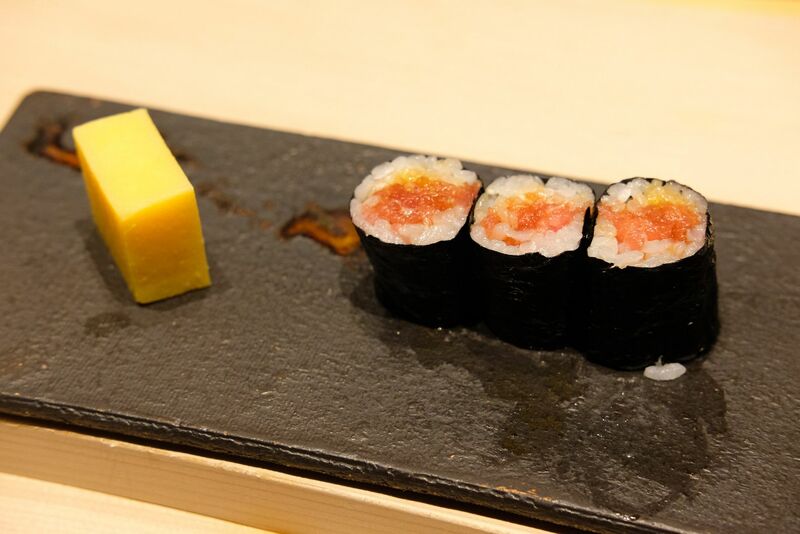 The negitoro maki had a great portion of tuna, and just the right amount of spring onion. And by right amount, I really mean amazingly spot-on. The spring onion accentuated the lovely flavour of the tuna, but never overpowered it. How do you even achieve such finesse? I finished my maki in no time, and wished I had more. Even my best friend, who asked me to finish his maki before it even arrived, finished his. The funny thing was, this lady next to me left a maki on her plate, and my best friend actually asked me to ask her for it??? Of course I didn't! But you get my drift right? We were completely blown away by the maki. 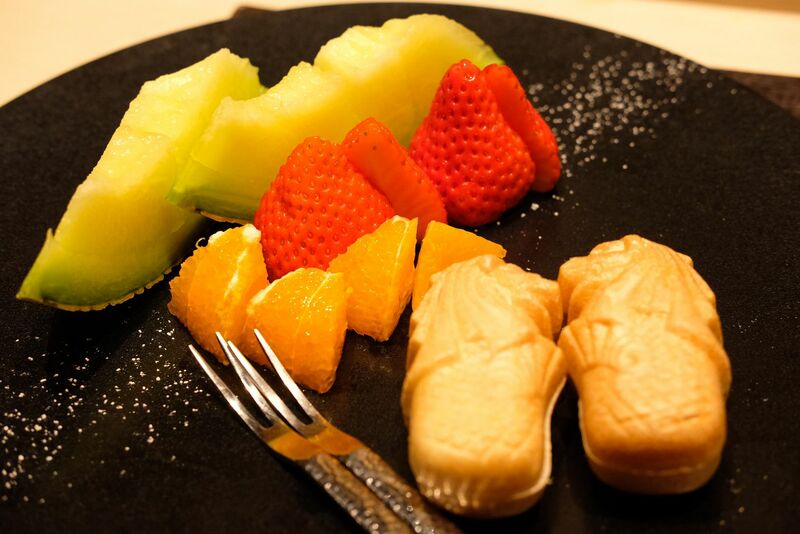 We were told that it was time for dessert and we were treated to fresh fruits, and a Merlion Manaka each. A creation by Master Chef Hashida, the merlion is made with house-made kaya, white bean paste, white chocolate paste, miso and thin mochi wafers. I'm happy to announce that the meal ended on a great note, and that our lunch here was nothing short of brilliant and phenomenal. I'll love to come back for their omakase dinner someday. 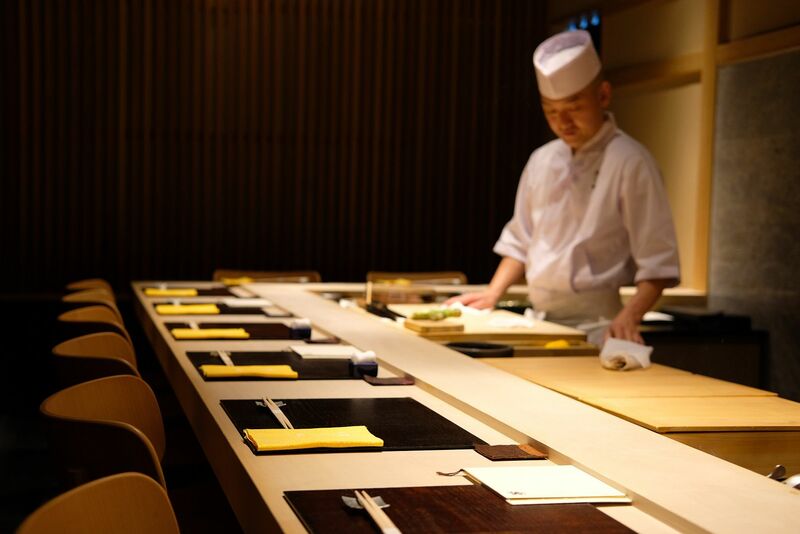 For those looking to splurge on an exceptional omakase experience, you have to go to Hashida Sushi. 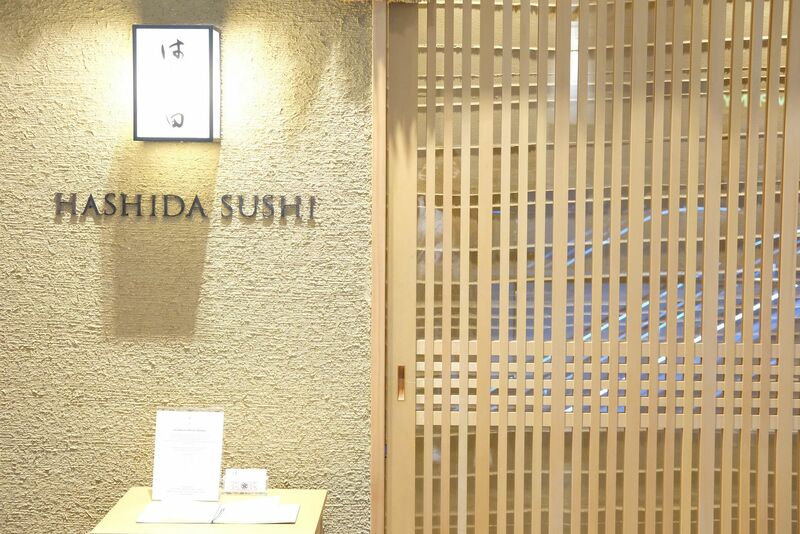 Hashida Sushi might just have the best omakase in Singapore.